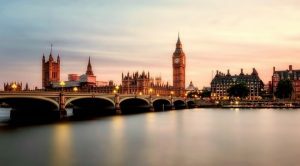 The UK Gambling Commission (UKGC) imposed a monetary penalty on the bookmaker Mark Jarvis after finding out that the company failed to protect a customer who was showing signs of compulsive gambling behaviour. The gambling operator will be forced to pay an amount of £94,000 and bring some changes to its procedures related to social responsibility. A probe initiated by the gambling regulatory body found that the gambling company failed to follow the Commission’s requirements for customer interaction have been violated by Mark Jarvis for a period of 19 months. 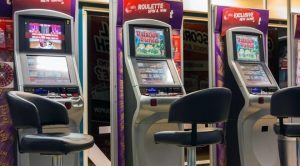 The investigation findings showed that the gambling operator has not properly handled its interaction with a customer who showed signs of a gambling addiction, including spending the amount of £34,000 on the so-called B2 gaming machines in one of the brand’s betting outlets. What is more, it turned out that the customer had stolen £11,250 of that amount from their employer. Why go for the salmon when the pinkeens taste as nice? The Executive Director of the UKGC, Richard Watson, explained that the case clearly showed the reasons why gambling operators are required and follow social responsibility policies and customer interaction procedures which actually work. Mr. Watson added that such codes have been created to make sure that gambling companies see the early signs of compulsive gambling and take measures against it, so all operators, no matter how big or small they are, must make sure that they have a good knowledge of their customers. After announcing the fine imposed on Mark Jarvis, the Commission reminded to all operators to read the regulatory settlement of the company to get more details and make sure they do not do the same mistakes. Currently, Mark Jarvis runs its operations under an operating licence allowing it to run on-land betting shops offering various betting options except for pool betting. As mentioned above, the company was found by the UK Gambling Commission to have violated provision 3.4.1(1) of the social responsibility code that is associated with customer interaction. The investigation showed that the betting shop staff was familiar with the customer, who Mark Jarvis did not manage to protect properly, as she has been attending the place regularly with her spouse. After her husband’s death in July 2015, the duration and frequency of her visits to the betting outlet rose, with the amount of money spend by her also increasing. In the period from September 2016 to February 2017, the customer used money which she had stolen from her employer in order to fuel her problem gambling behaviour. The UKGC probe found that the customer interaction policies and procedures of Mark Jarvis were not in line with the Code. They did not clearly required any records to be kept and did not identify the proper level of management who has the right to start customer interaction. What is more, they did not include provisions to identify customers who were at risk but may not be showing the most obvious signs of addiction. As part of the penalty, the gambling operator has divested itself of the money received by the customer – a total of £34,000, including the stolen funds of £11,250 it had received. It also accepted to pay a financial penalty amounting to £60,000, with the money set to be directed for funding of the National Responsible Gambling Strategy. A £4,000 payment will be made toward the investigative costs.